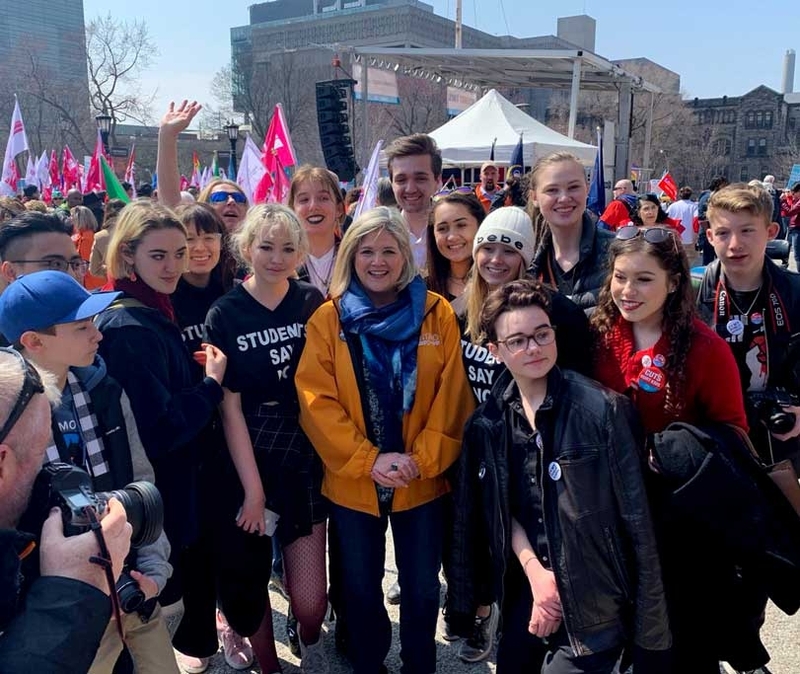 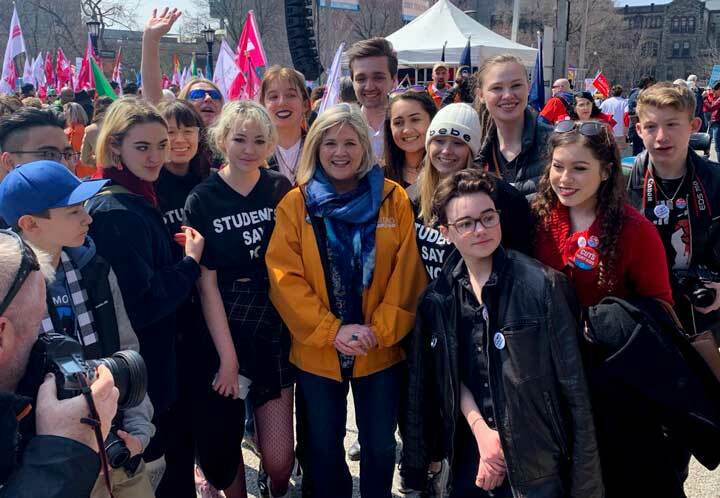 Ontario NDP Leader Andrea Horwath poses with leaders of the student walkout at the Rally for Education April 6. 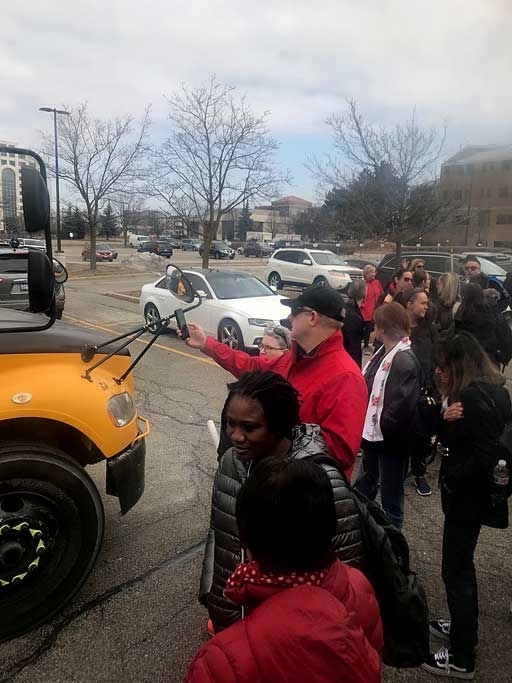 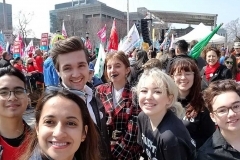 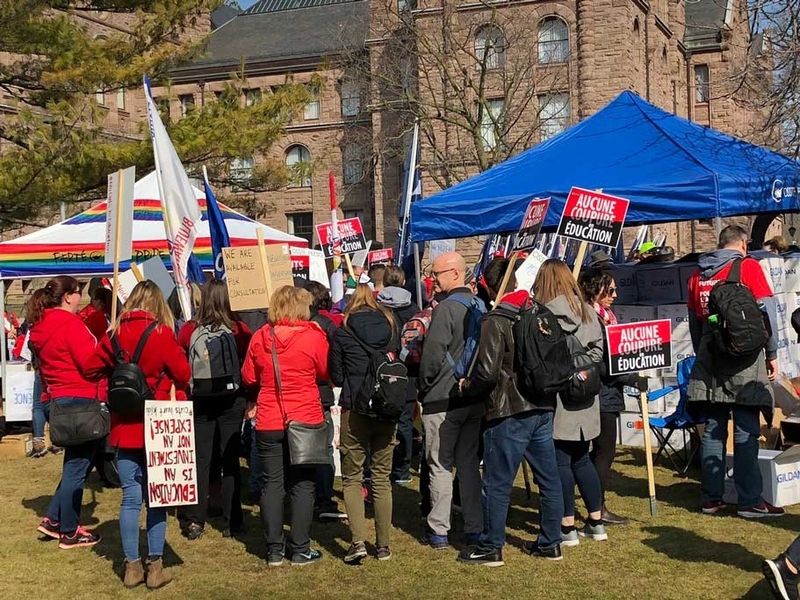 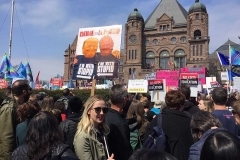 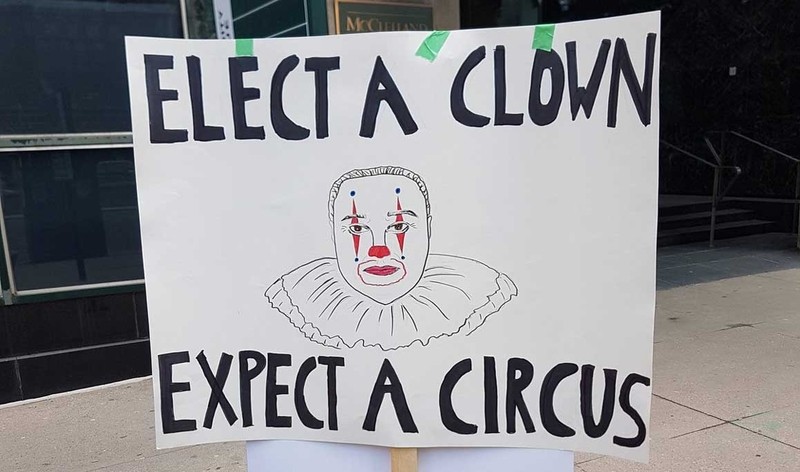 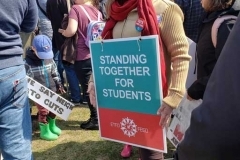 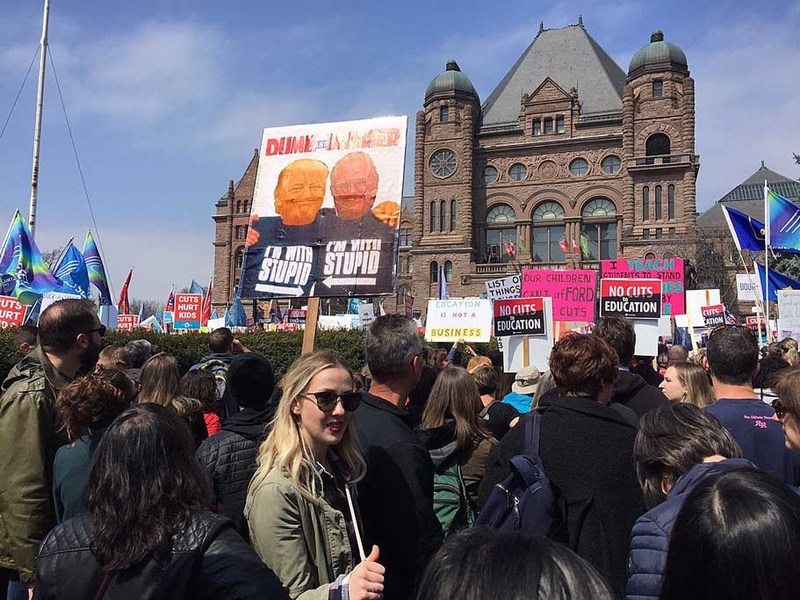 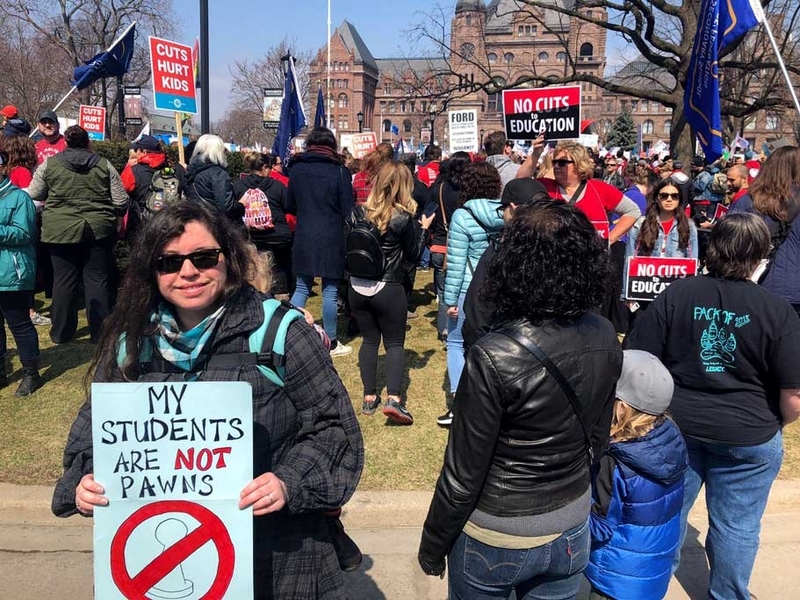 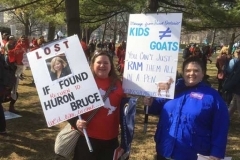 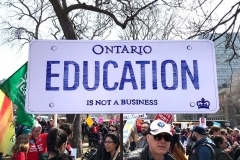 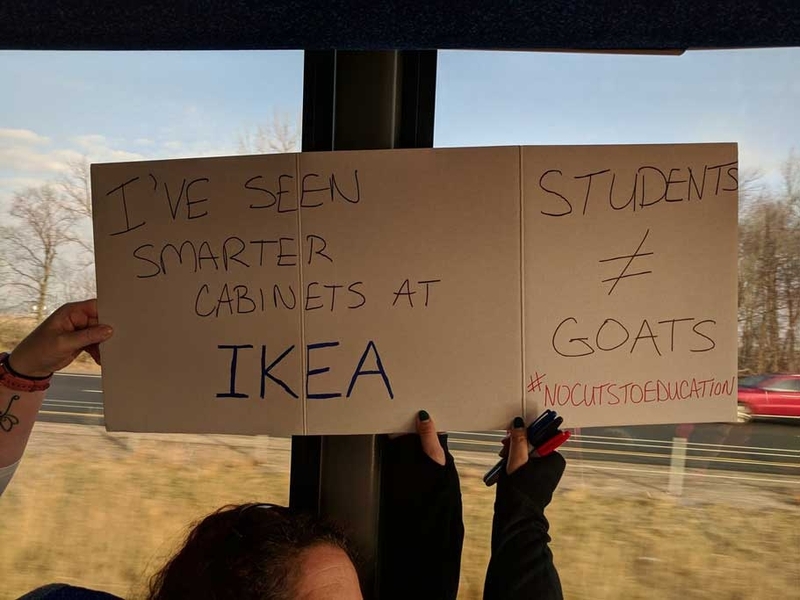 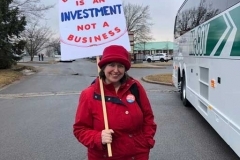 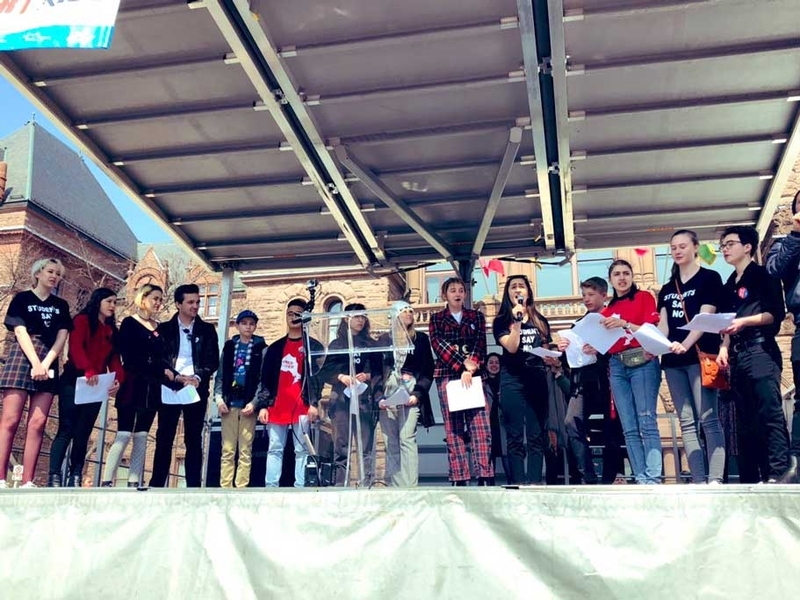 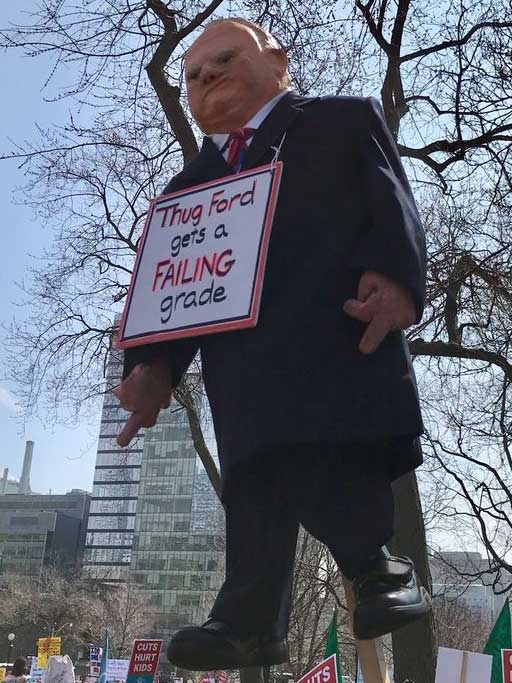 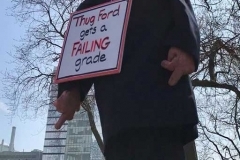 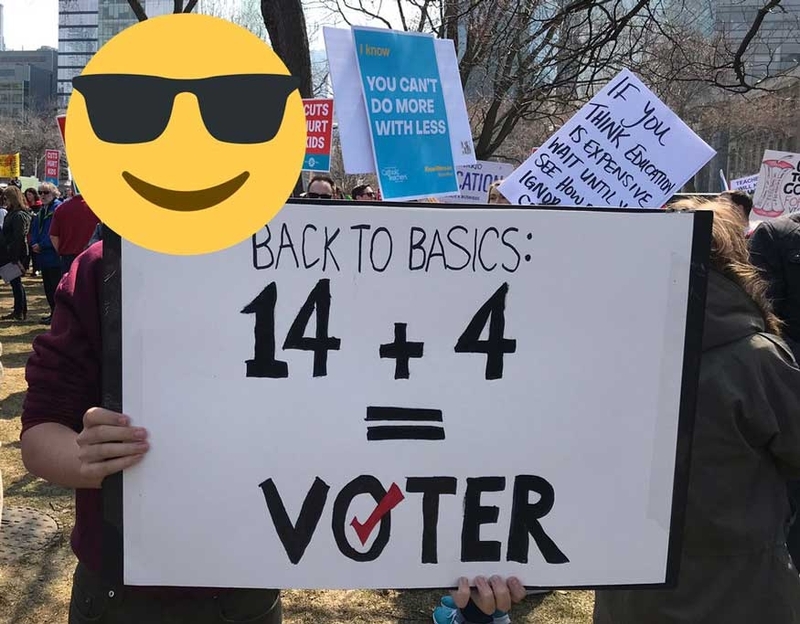 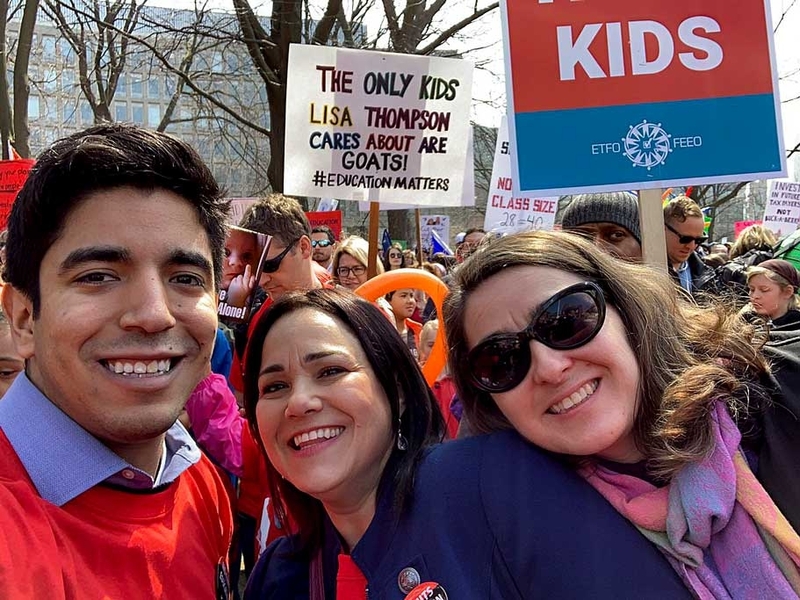 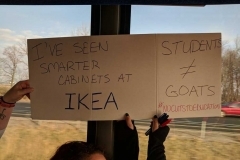 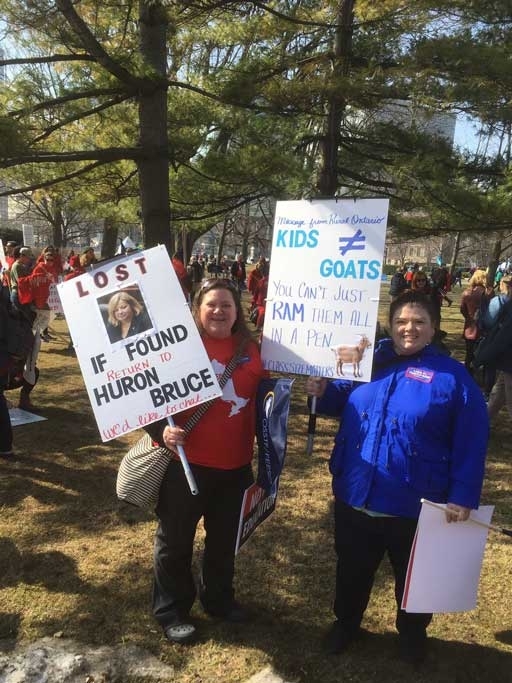 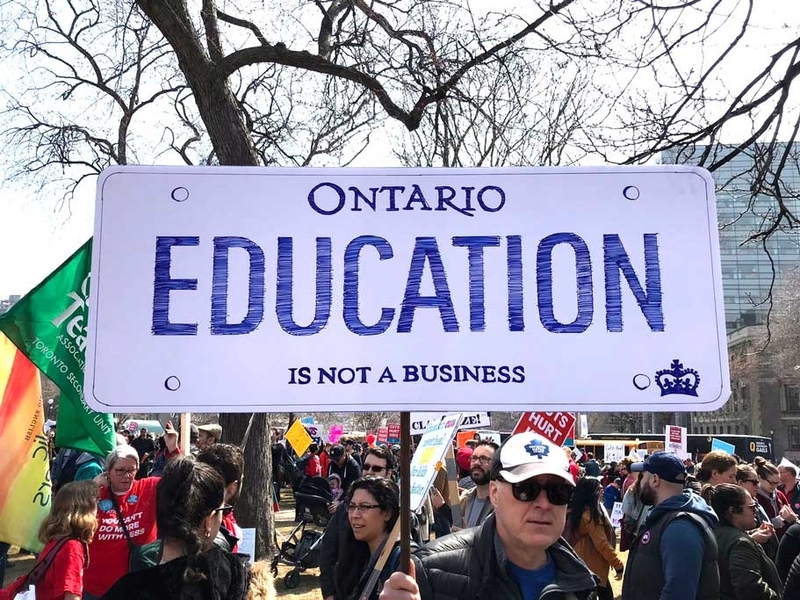 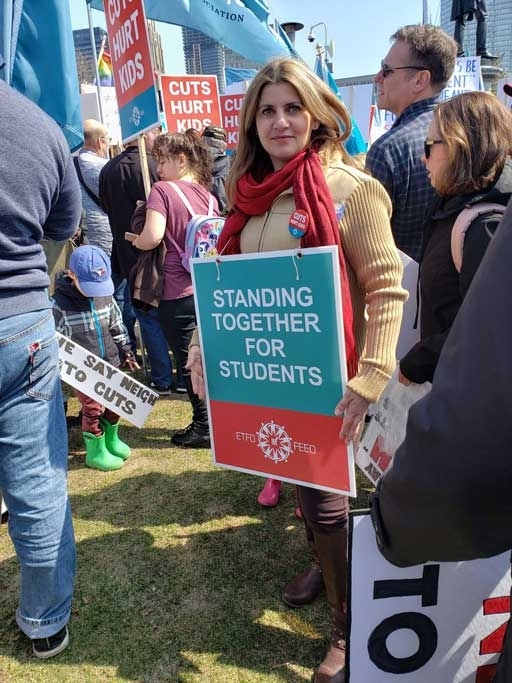 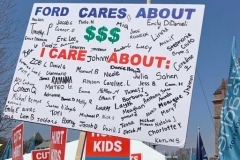 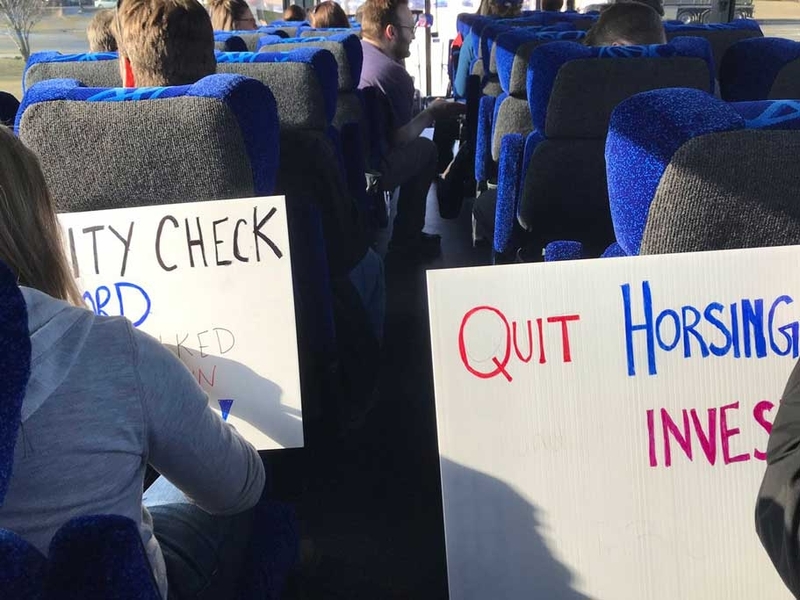 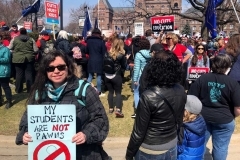 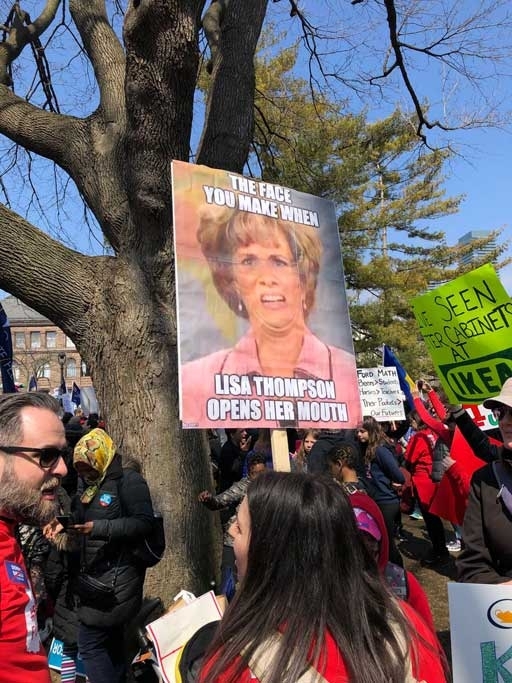 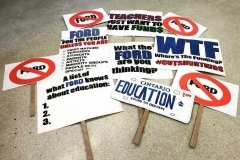 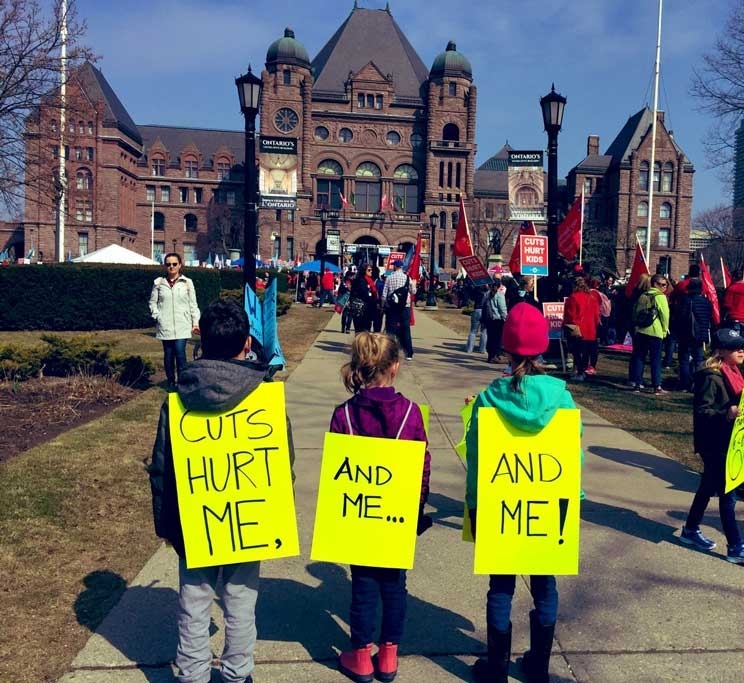 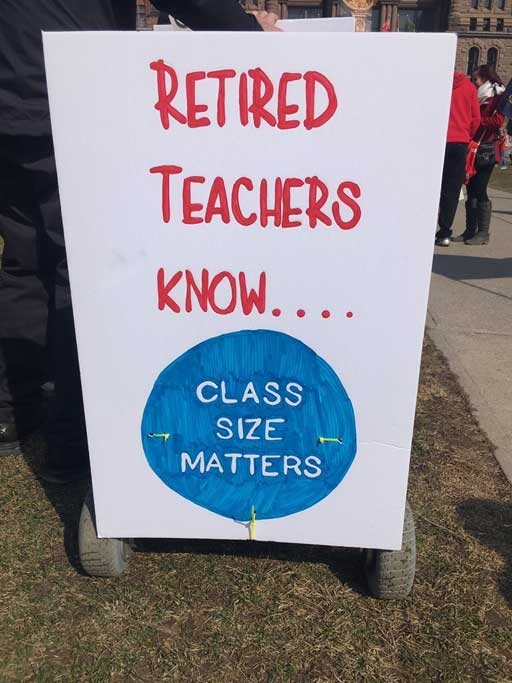 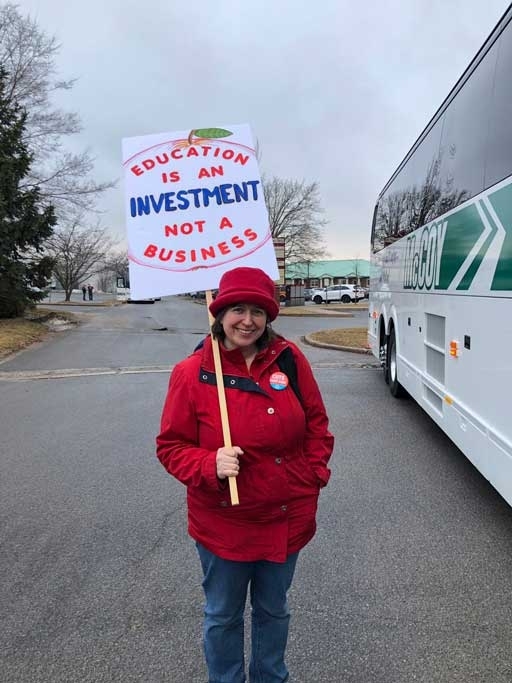 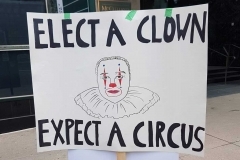 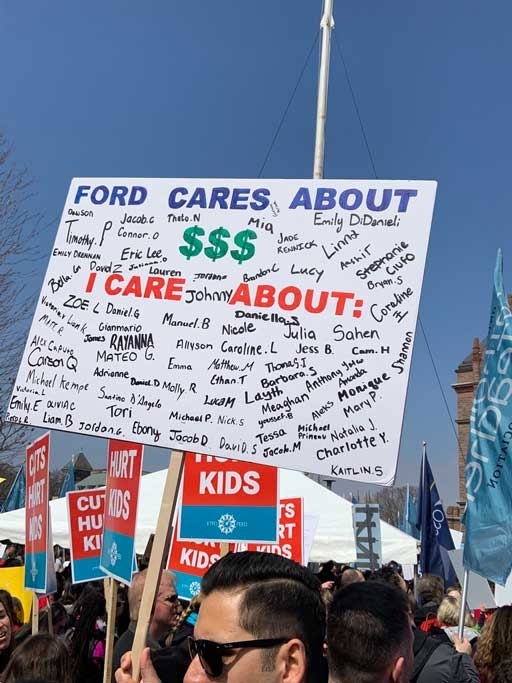 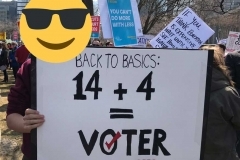 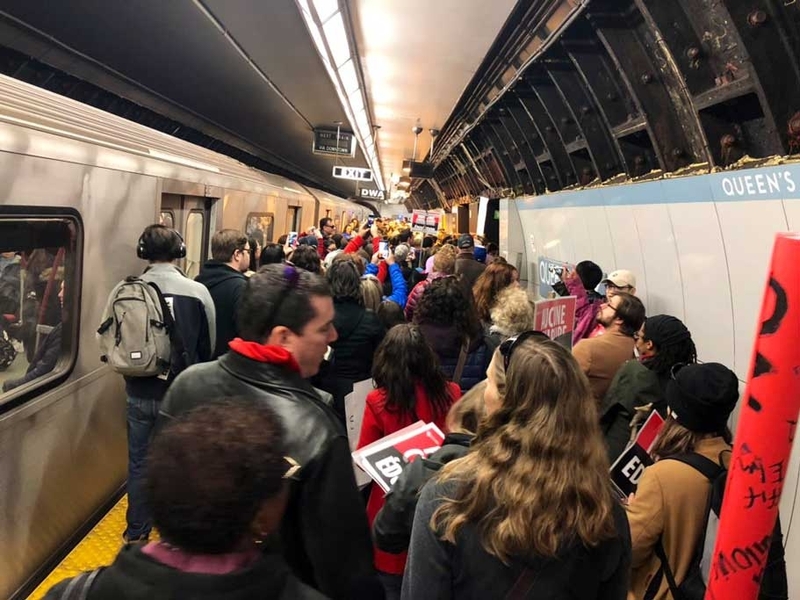 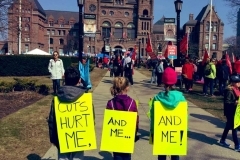 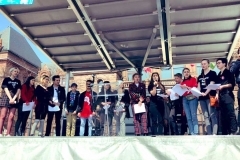 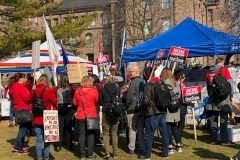 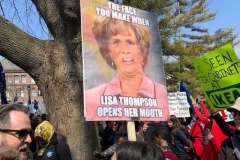 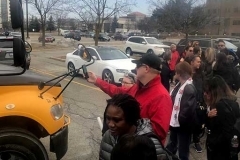 If a picture is worth a thousand words, the dozens and dozens of photos of the April 6 Rally for Education, published on social media by educators, parents, school-board trustees and supporters are enough to write a book on the level of opposition to the Ford government’s education cutbacks. 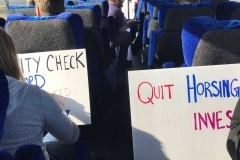 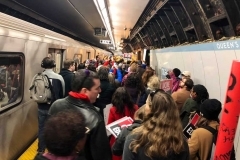 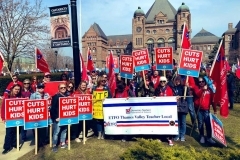 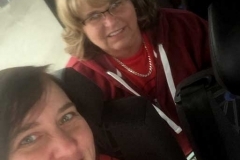 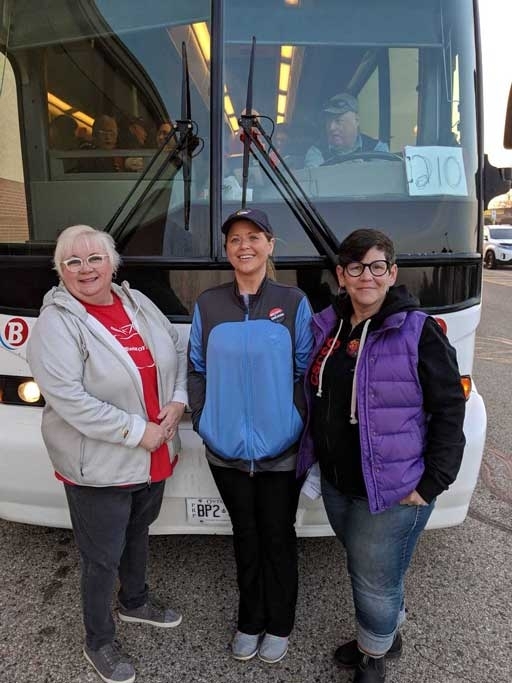 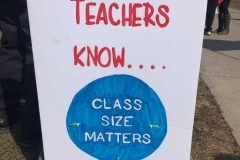 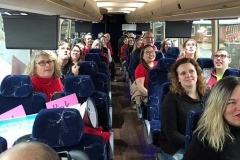 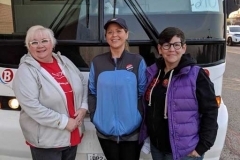 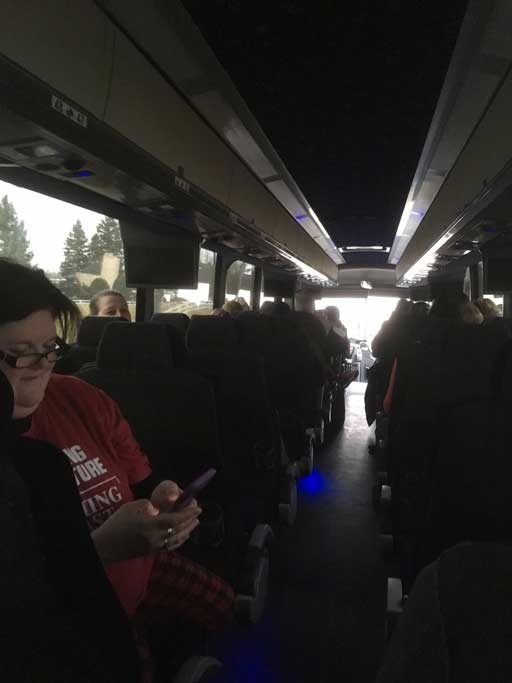 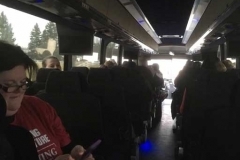 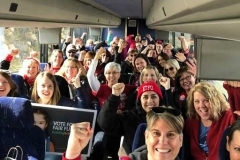 ETFO members were on buses as early as 4:30 am to get to the rally at Queen’s Park on time. 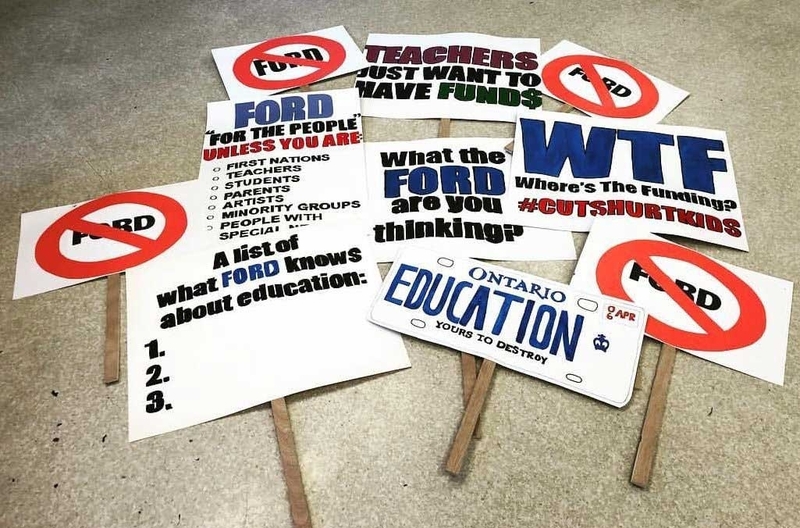 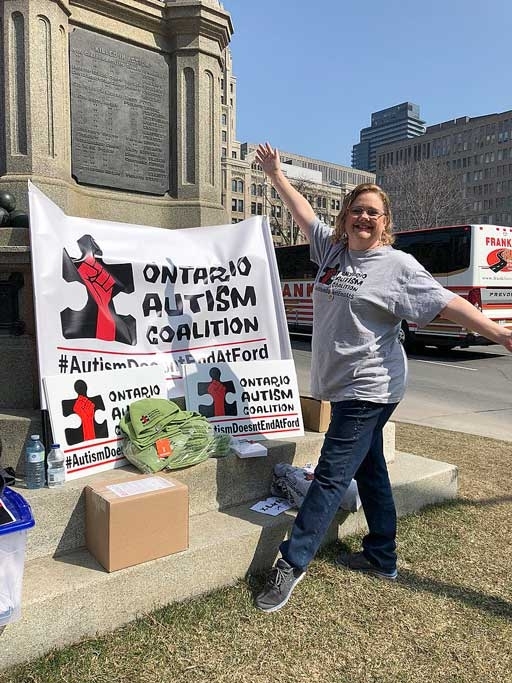 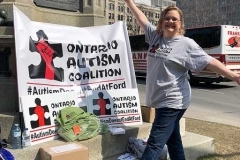 The photos show enthusiastic spirit and a fierce determination to defeat the Ford agenda in education. 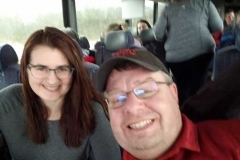 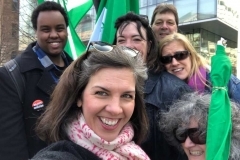 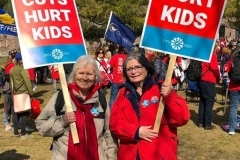 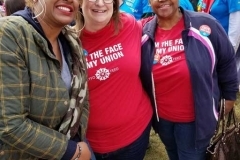 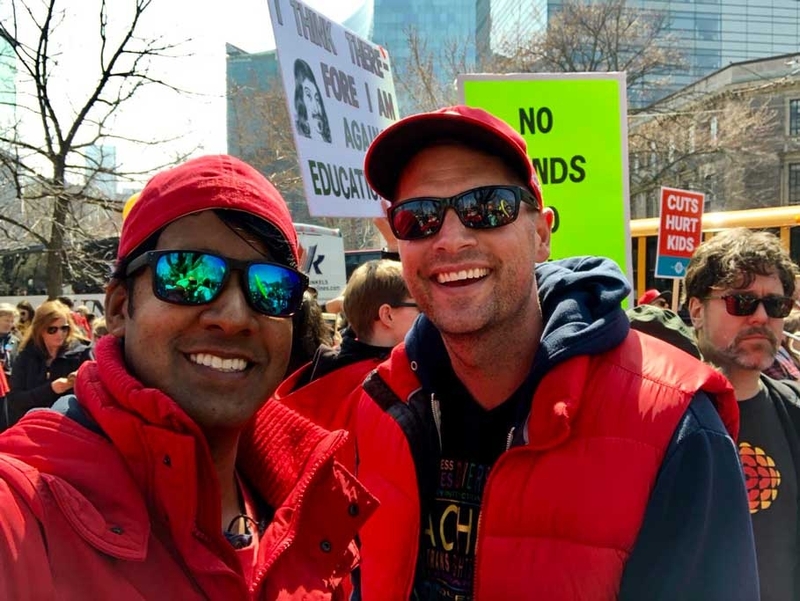 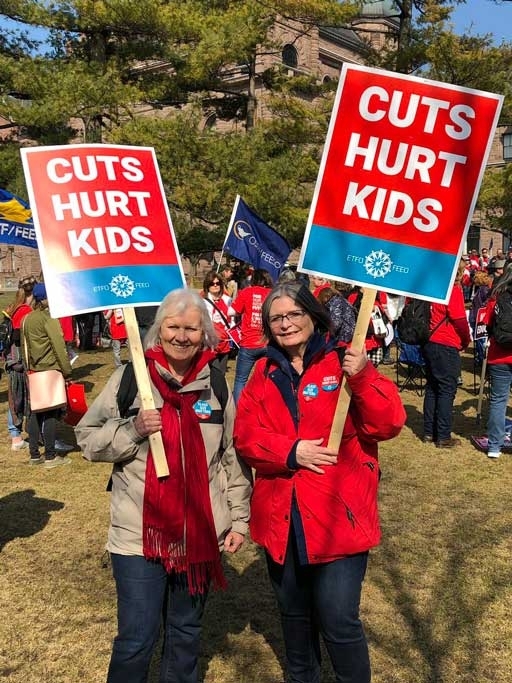 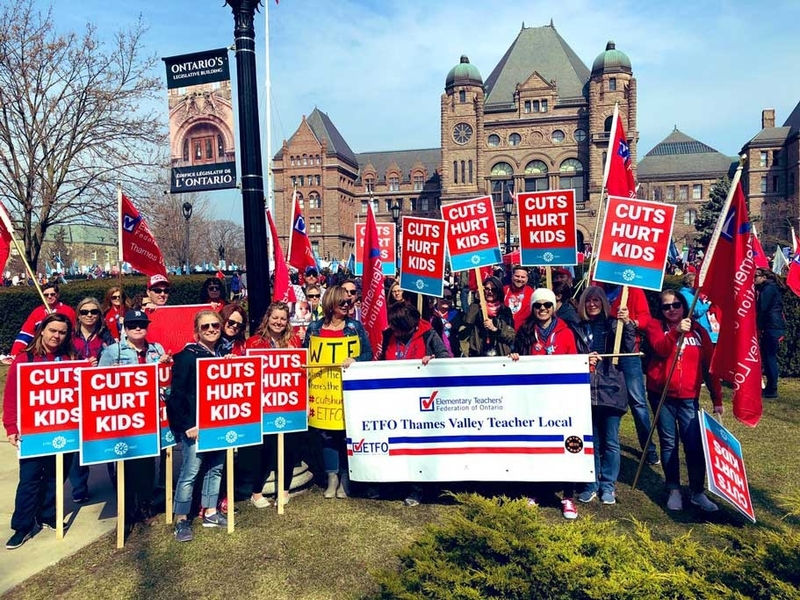 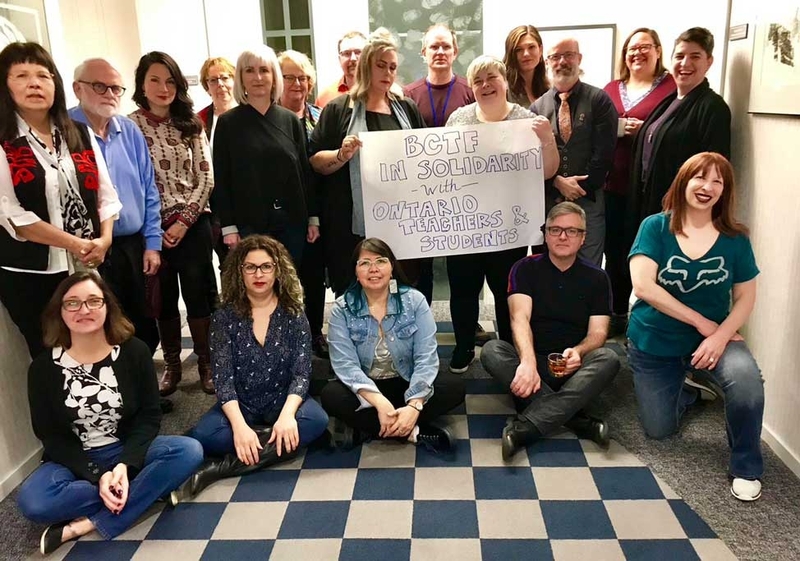 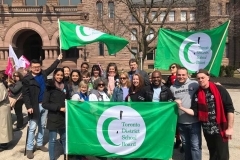 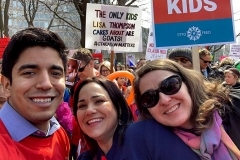 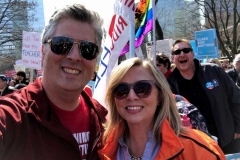 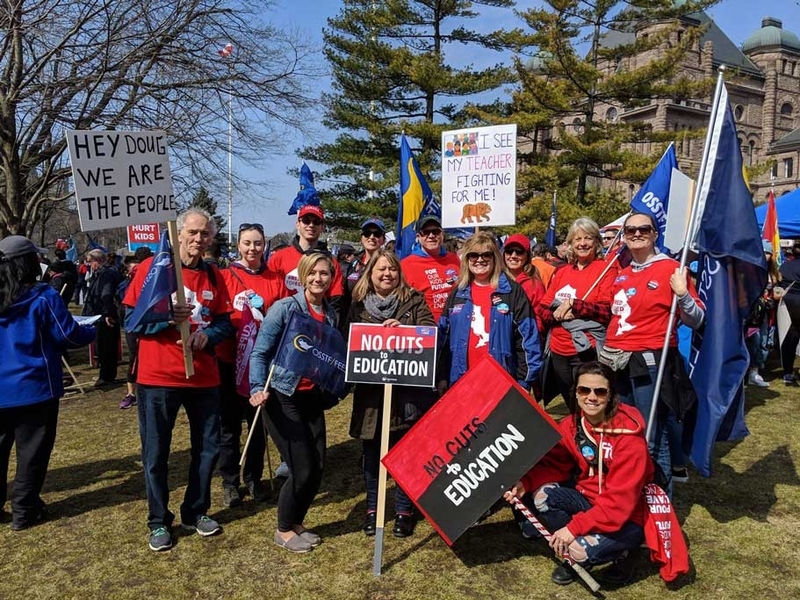 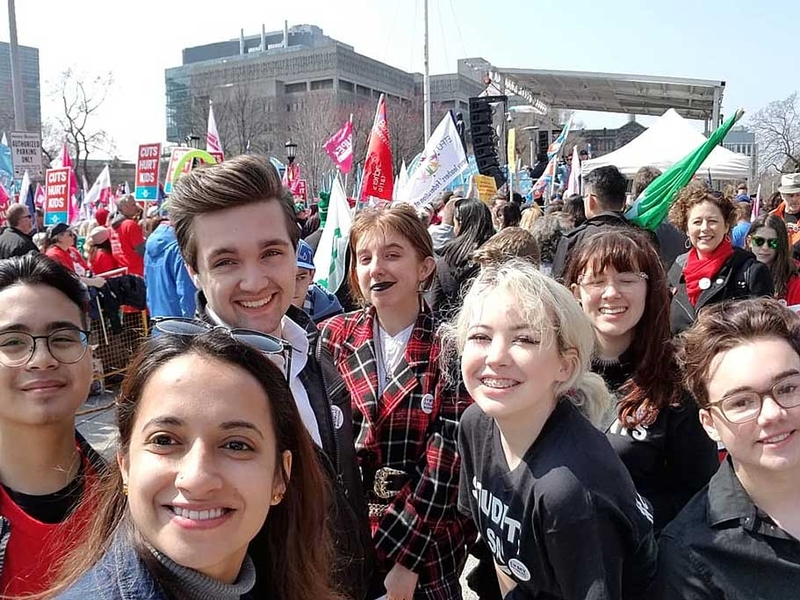 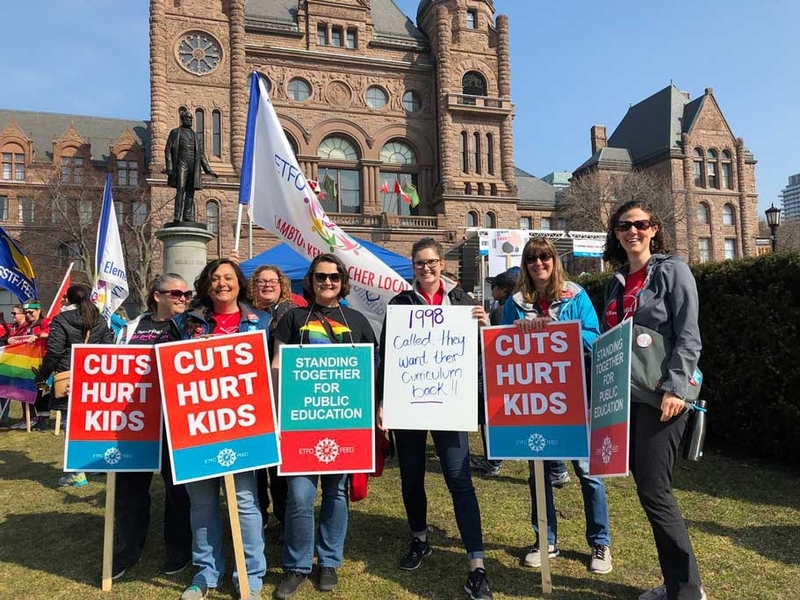 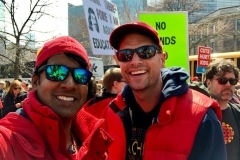 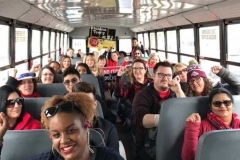 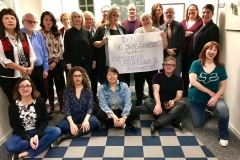 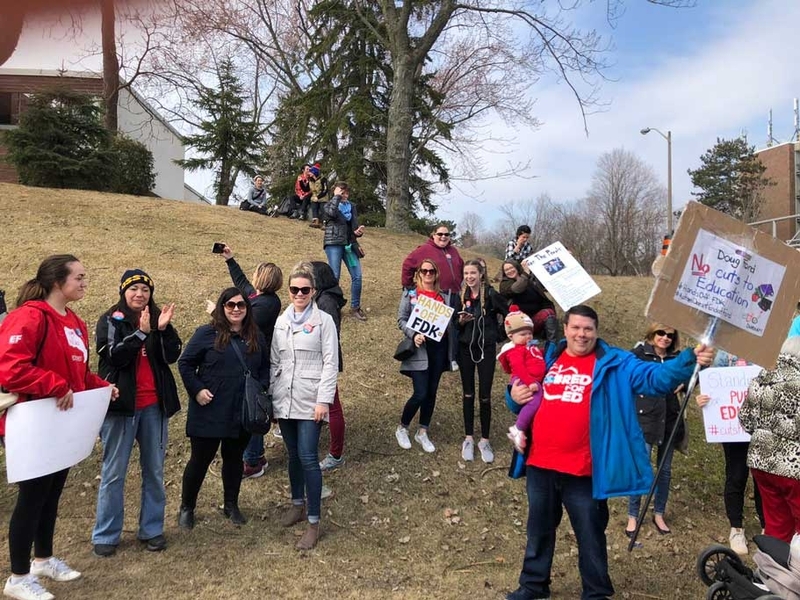 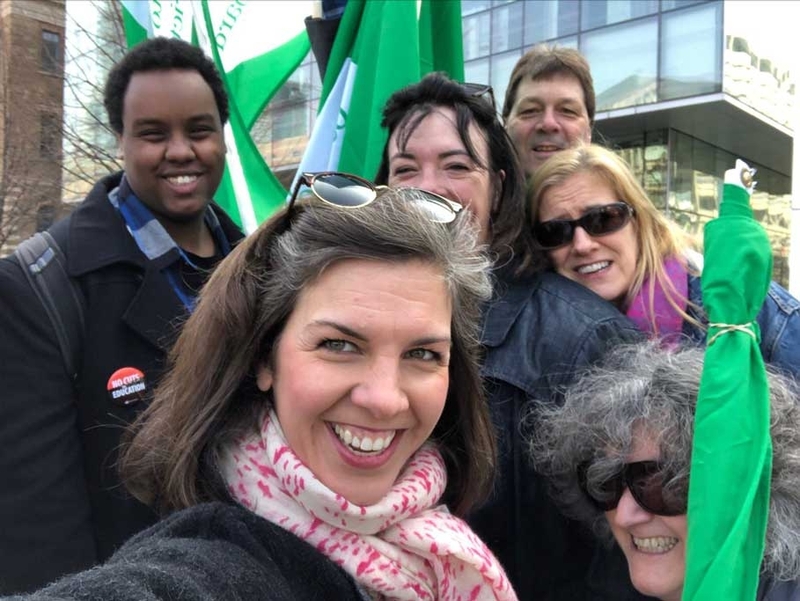 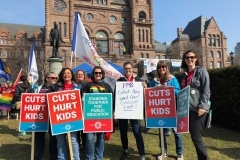 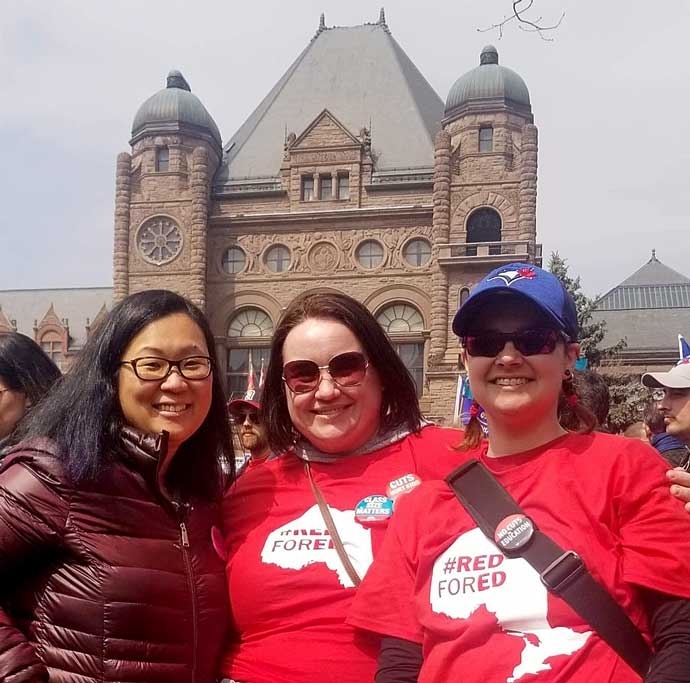 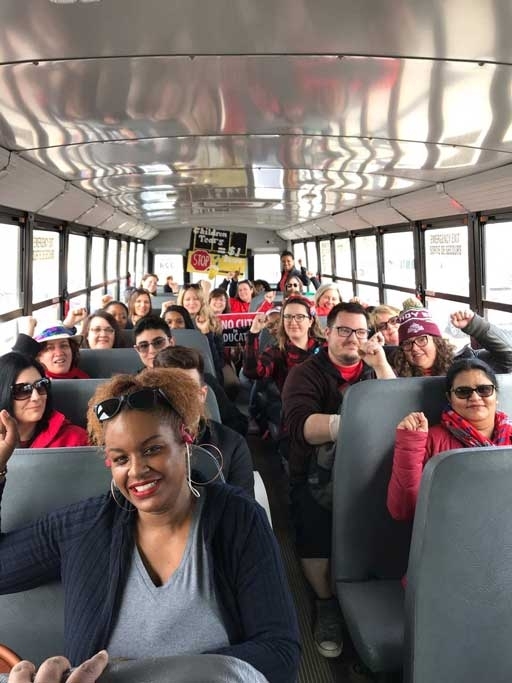 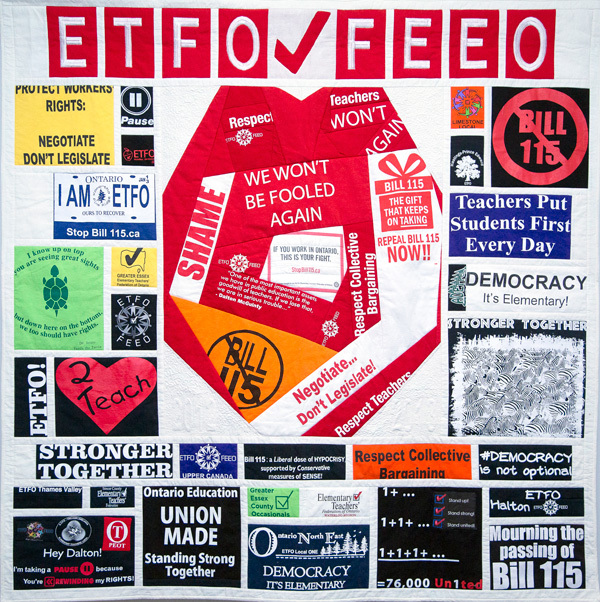 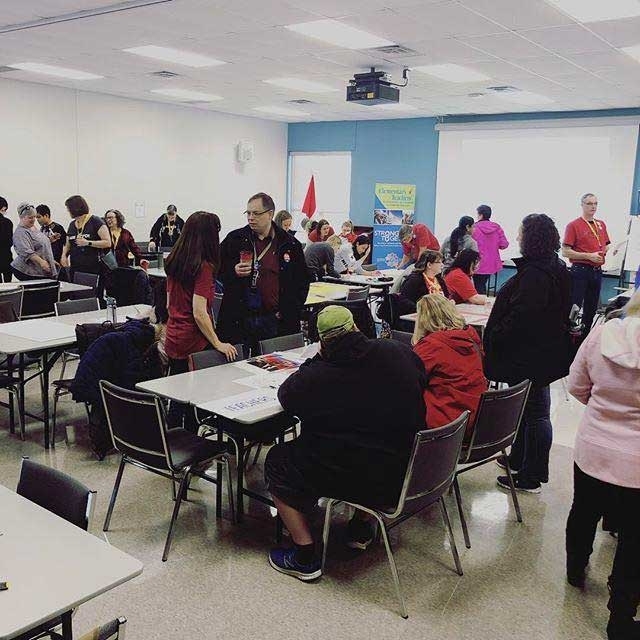 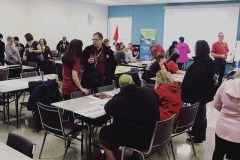 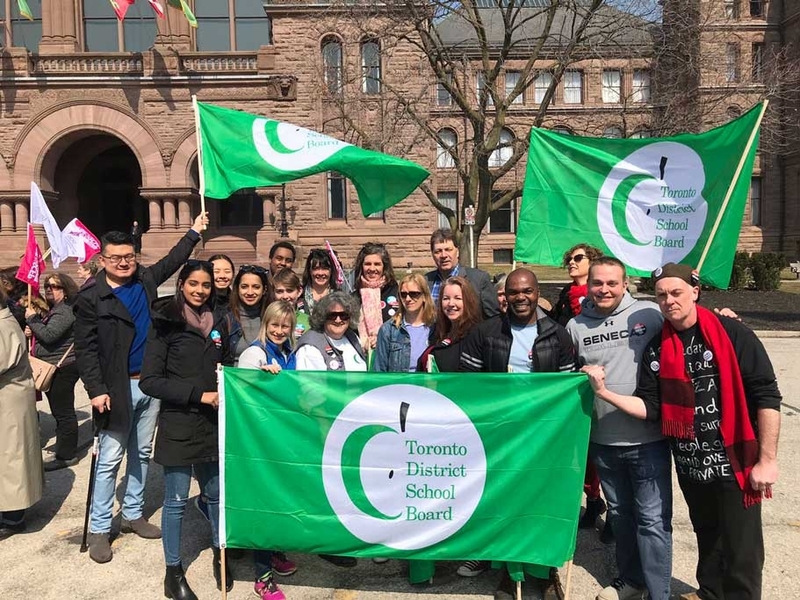 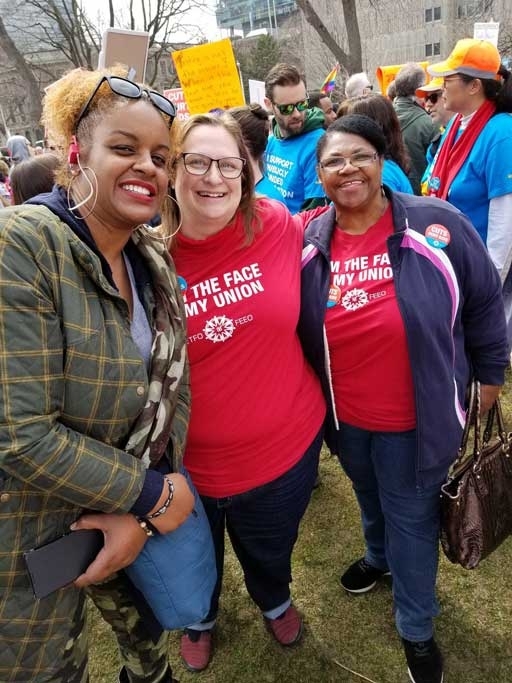 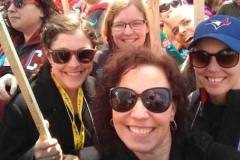 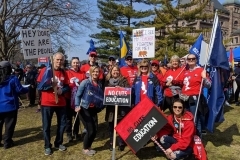 Scroll down to see more than 50 photos of members of ETFO and other education unions making their voices heard on April 6. 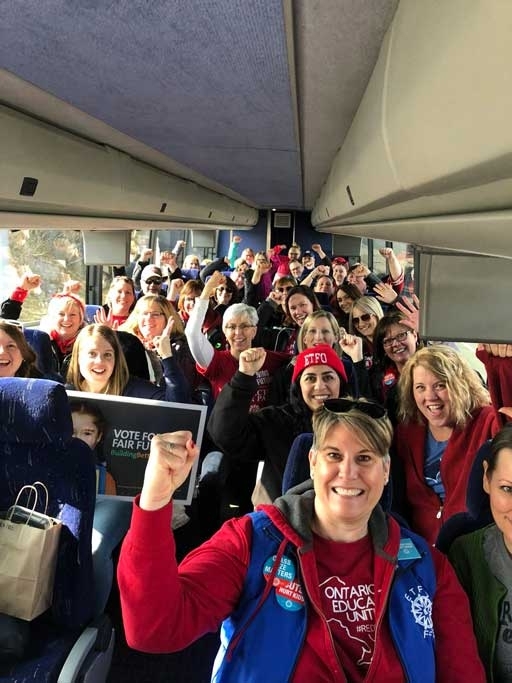 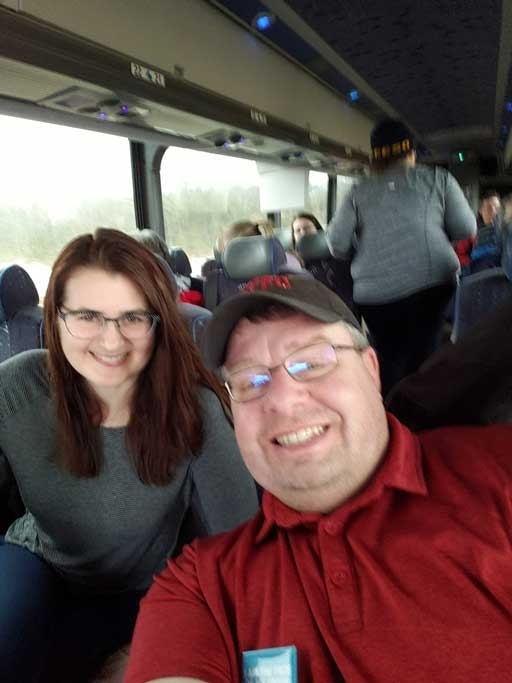 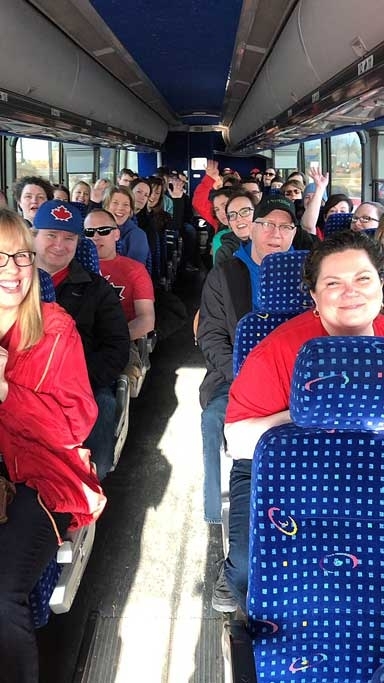 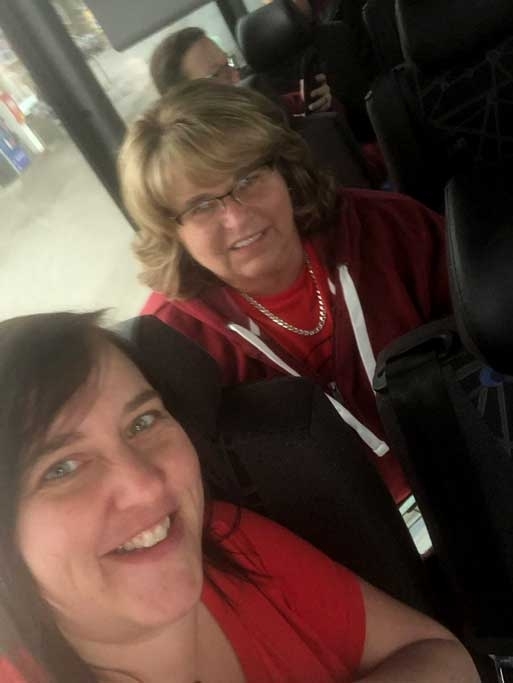 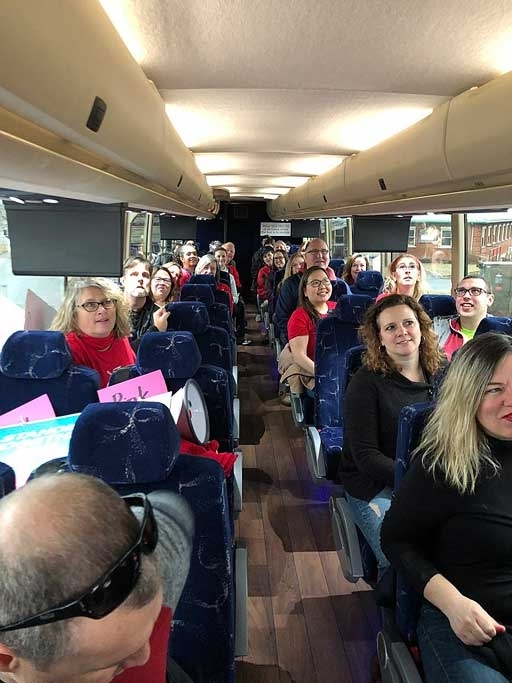 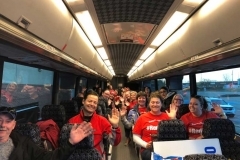 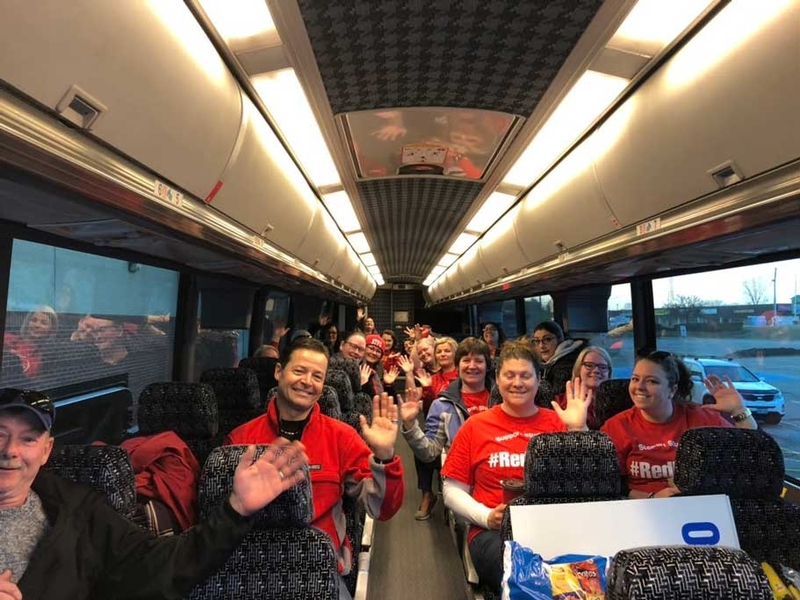 Enthusiastic educators from Lambton Kent are in high spirits on the way to the Rally for Education. 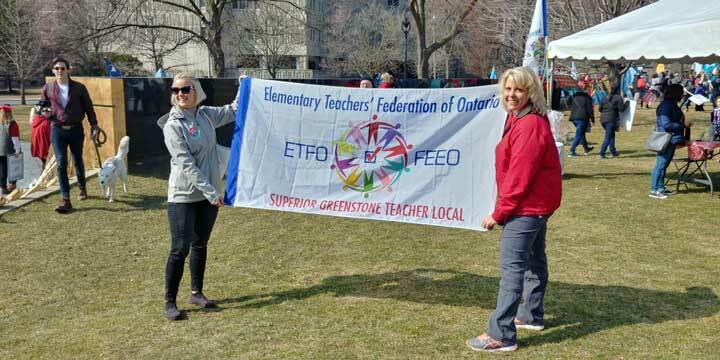 An advance guard from Superior Greenstone unfurls the ETFO flag at the Rally for Education. 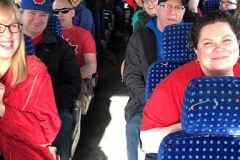 Buses arrived from as far away as Dryden. 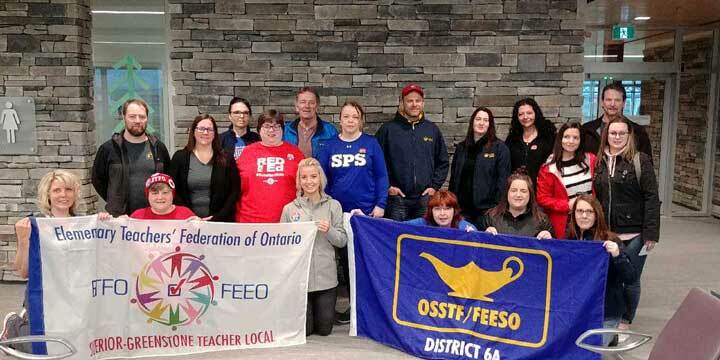 ETFO and OSSTF members in solidarity in Superior Greenstone. 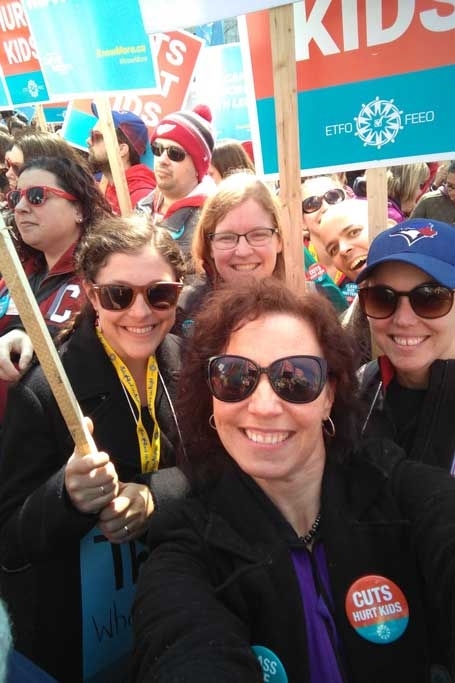 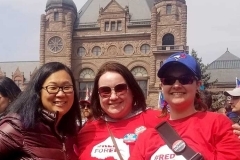 These members of ETFO Durham were among the huge delegation of educators from Durham Region at the Rally for Education. 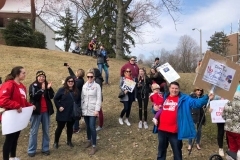 Click on a thumbnail photo below to see a slideshow of more photos.